History helps Manchester United stick out. Players like Wayne Rooney, Angel Di Maria, Juan Mata, Memphis Depay, and the newly aquired Bastian Schweinsteiger will help they dominate. Train like the top players in the game with the Adidas Manchester United Training Jersey. When they walk out on Old Trafford, they come prepared. 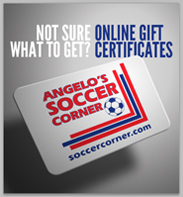 The hours of intense training keeps these top soccer players in the best shape, with their skills honed to perfection. The Man United training jersey allows for the players to be comfortable in all weather.. The Adidas ClimaCOOL ventilation system helps to keep them dry and comfortable. This lightweight shirt maintains its flexibity and comfort, no matter where you are. the great royal color on the training jersey helps you stand out, and show your United love. The stitched Manchester United Crest is proudly shown on the left chest. 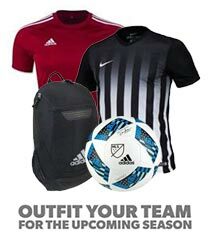 Get all your Adidas Manchester United Gear at SoccerCorner.com.